If you do not have Google Earth or Google Earth Pro loaded onto your computer go to the link below and follow the instructions to install Google Earth Pro. 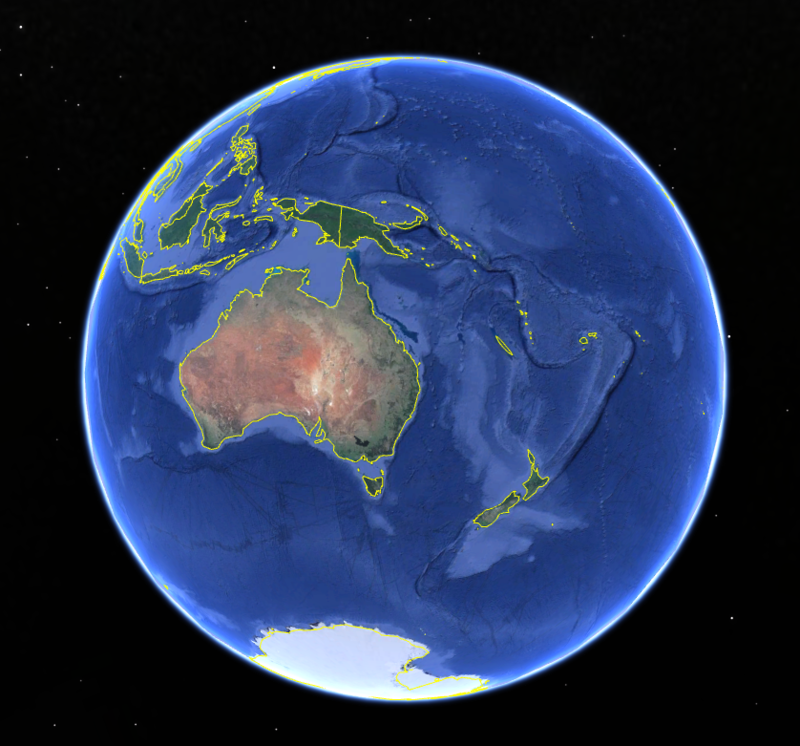 Once you have Google Earth Pro loaded, click on the relevant link below to download the .kmz files. To open, simply double click on the downloaded .kmz file and they will open in Google Earth Pro. When the map is loaded, click on any part of the soil map and a tab will appear showing the soil type and group at that location (Figure 1 – A). 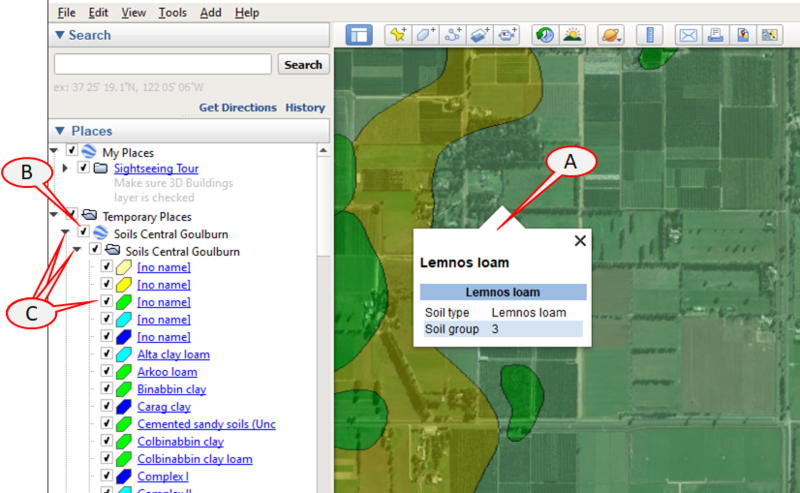 You can turn on and off the soil layer by clicking the check box next to map name shown in the ‘Places’ pane (Figure 1 – B). You can also turn on and off individual soil types by clicking the triangle next to the map name, then clicking the check boxes next to each soil type (Figure 1 – C). Soils in the GMID have been broadly categorised into 6 groups based on their suitability for irrigation and particular crops. Group 1 soils are located in the highest parts of the landscape and are generally more undulating and better drained. Groups 1 and 2 are considered most suitable for horticulture crops, Groups 3 and 4 for pasture and shallow-rooting crops, Group 5 for summer fodder crops and annual pastures and Group 6, the lowest in the landscape, is not recommended for irrigation because it is usually prone to intermittent flooding and salinity. For more information about the the soils in each region follow the links below.